-Voluntary relinquishment of the ownership of a property due to failure to use, or intent to abandon. -The method of charging interest. It is a calculation of the interest on the total amount that is borrowed and added onto the principal. The payments are then deducted from the total amount. -This is an order in a county court where they will arrange and administer payments to your creditors, typically at a lower rate. -This person is an Insolvency Practitioner (IP) appointed by a lender that is secured by a floating charge that covers a large portion of a company’s assets. -The process where by an IP is appointed by a lender to realise a company’s assets. -An Insolvency Practitioner that has been appointed by the court, typically under an administration order. They can also be issued by a floating charge holder, or by a company filing the requisite notice in Court. 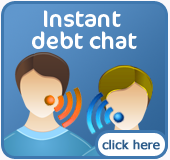 -Payments of debt that are in equal instalments of principal and interest. -This is the yearly percentage of interest on a loan. -The state of being cancelled. -A late payment. Interest is said to be paid in arrears as it is paid to the date of payment rather than in advance. -Anything that belongs to the debtor that may be used to pay his or her debts. For example: property, cars, and antiques. -The goods held by a person in debt that have been frozen. Anything that has been “attached” can be sold. The money that is raised will then be paid to the debtor. -Period of time that will pass before 50% of a debt obligation has been retired. -When a person is declared insolvent because they have insufficient income and assets to properly repay their debts. Involuntary Bankruptcy is where bankruptcy is petitioned by a creditor while Voluntary Bankruptcy is when an individual petitions for their own bankruptcy. -A loan that is made by an employer to one of their employees at a lesser rate. -The person that will receive funds of property under terms of a trust, will, or insurance policy. -These are funds paid to you by the state and will include disability benefit, housing benefit, council tax benefit, income support, child benefit, and job seeker's allowance. -Something that cannot be legally avoided or stopped. -This is a list of your expenditures and income. -The gap between revenue and spending and how much may be needed to borrow. -Non-profit institutions that lend money to their members for the purchase of a home. -This is the discount rate that is used to decide the current value of a stream of future earnings. -Is the currency and coins on hand, the bank balances, and the negotiable money orders and checks. -This is security interest taken over property by the lender to protect them against non-payment of a debt. -The person responsible for overseeing a company’s operations. -CABs are an office represented in most towns in the United Kingdom. They provide citizens with free financial advice. Please see our list of Citizens Advice Bureau locations for one nearest to you. -The 1986 Act of Parliament regarding the disqualification of directors from a company. -The process of winding up a company after the court has been petitioned. -A classification of credit risk based on investigation of a customer's (or potential customer's) financial resources, prior payment pattern, and personal history or degree of personal responsibility for debts incurred. -Someone owed money by an individual or company that is facing insolvency or bankruptcy. -A general money adviser that has receiver training to act on behalf of the debtor to negotiate a debt payment program. -This is a payment that is made to a beneficiary from a policy or annuity when the policyholder dies. -This is a document issued as evidence of a debt. It can also be a document granting security for a loan, of a fixed sum at interest. -The money that is owed or due to another person or institution. -Capital rose through issuing bonds. -When a number of debts are restructured into one monthly payment ideally at a lower monthly payment than the sum of the previous payments. Debt Consolidation can be achieved a number of ways including through a loan, a re-mortgage, a debt consolidation plan, bankruptcy, or an IVA. -A transaction where you take existing bonds (debt) and exchange them for newly issued stock (equity). -A Debt Management Plan (DMP) is a repayment plan which helps make unsecured debt repayment more affordable. Normally a party negotiates with creditors to reduce your monthly payments to a more manageable level. -This is an agreement under the Debt Arrangement Scheme (DAS). It allows you to pay your debts off over a longer period of time. -A person who is in debt or under financial obligation to another. -A lender’s statement of the amount that is due on a loan. -An order by the court that will stop the operation of an existing or future diligence. -An instruction that you give to your financial institution to make regular payments to another company or individual. -An individual responsible for the affairs of a business. -Is a statement made to free someone from responsibility, usually legal responsibility. -A loan where the interest and financing charges are deducted from the face amount when a loan is issued. -This is a procedure whereby an individual has a court order made against them. It can also be if a person gives an undertaking to the Secretary of State, which makes it an offence for that person to be involved in the managerial or directorial portion of a business. -This is any sum distributed to unsecured lenders during the insolvency process. -Revenues minus the total expenses and taxes. It is often called income. -This is the process of having wages taken directly from your employer and given to your creditors. -These are benefits that are guaranteed to a person, such as dividends for shareholders and government aid to those that qualify. -The monetary value of a property or business once any amounts owed on it, in mortgages, claims, liens have been paid. -The basis of determining a pension entitlement in a final salary scheme. -Anything related to money and the markets. -A charge held over certain assets. The debtor is not able to sell the assets without the consent of the secured creditor. -A current account and combined mortgage. -This is a charge held over a company. The assets of the business may change but the company can use the assets without the consent of the secured creditor until it becomes fixed. -This is a bank account whose funds may not be withdrawn until a lien is satisfied. -A pool of money set aside for some reason. -A plastic payment card normally allowing for the holders to have a higher spending limit. -Normally 30 days, during which an insurance policy remains in force even though the policyholder hasn’t paid their premiums. -This is funding for a non-profit organization. It is usually used for a specific project. -A calculation of the total income of a person before deductions. -A payment with a fixed rate that allows low beginning payments and a shorter term because of higher payments as the loan progresses. -An agreement that you make to pay your debt. For it to be enforceable, a guarantee must be evidenced in writing. -These are assets that are not immediately apparent from a balance sheet. -A mortgage that is lower in comparison to the total deposited in cash by the purchaser. -The agreed purchase of an asset. Once the payments are made, the assets become your property. -A person that is in possession of a negotiable instrument such as a promissory note or bill of exchange. -This is a state benefit that is payable after state sickness expires and a person is still unable to continue with their job. -Is a personal tax that is levied on annual income. -The UK government department in charge of the collection of taxes: income tax, capital gains tax, and inheritance tax. -This is licensed person who specialises in insolvency, usually a solicitor or accountant. They are authorised by the Secretary of State or a number of other recognised professional bodies such as the Institute of Chartered Accountants in England and Wales. -Not solvent; unable to satisfy creditors or discharge liabilities, either because liabilities exceed assets or because of inability to pay debts as they mature. -The condition of being insolvent; bankruptcy. -This is the fee charged by a lender on borrowed money. Often called ‘interest rate’ when in a percentage form. -Is the maximum interest rate increase on an Adjustable Mortgage Loan. -Pertains to more than one party on the same side of a transaction, venture, or agreement. -A brokerage or bank account under more than one name. There are different arrangements that can be made so that either individual can draw checks or it may be that both people have to sign. -The legal liability of two people (or more) for claims against. It can also be for debts incurred by them jointly. If there are three people in a joint liability and they are indebted to another group then they can only be sued as a group and not by themselves. -A charge that is imposed by your lender when you fail to make the payment on time. -Money obtained in a wrongful manner such as funds acquired by theft. An example is people putting unlawful money into an overseas bank and subsequently transferring it back to where the money came from. -This is contract where the owner of something (a car, a home, a computer, etc) agrees to rent it to another person for a regular specified payment. -A business or person that offers to lend money to a lender over a specified period of time. The lender will be required to pay back the loan in instalments or a single payment with a specific interest attached. -The debts of a business or individual. -An insurance policy that pays a sum upon the death of the policyholder if regular payments have been made to the provider. -This refers to cash and assets, which can be readily converted into cash. -To sell off assets. The three types of liquidation are compulsory, creditors’ voluntary, and member’s voluntary. -This is the Official Receiver or IP that is issued by the court to help administer the liquidation of a business. -Money from a lender given in advance. The borrower is obliged to make repayments to the loan at the end of the term or in regular instalments. -A bank account that is opened following the granting of a loan by the bank. -A title insurance policy that covers a mortgagee against loss caused by invalid title in the borrower. -The percentage of the amount of a loan to the value or the price of sale of a property. -This is when someone is charged an illegally high interest rate. -A level of income when employees start to pay Class I NI payments. -Indicates that a company is privately owned, meaning that the directors of the company are not liable for the company’s debts if it goes bust. -An amount of money paid in one instalment. -This is when you increase the amount of your income. -A shareholder of a limited company. -Someone that can offer advice on debt and how to increase your income. -An agent that arranges short-term loans between a bank and borrowers. The broker isn’t involved in the process of lending or borrowing, but act as an intermediary for the two groups. -A loan that is secured against your property enabling you to purchase a residential property. -Someone that is engaged in the arrangement of mortgages for buyers. -Insurance to cover the repayment of a mortgage in the event of death of the mortgagee. -A calculation of the total accumulated by a country’s government through the issuing of bonds, treasury bills, and treasury notes. -Another form of taxation, payable by workers, which is meant to fund state benefits such as pensions, sickness, unemployment, and maternity. It is controlled by the Department of Social Security. -The total amount of money - after income tax, NI contributions, and payments towards a pension scheme has been deducted. -This is the total asset minus total liabilities of a business or person. -An Insolvency Practitioner who carries out the preparatory work involved in a voluntary arrangement. -This is a certification by a Notary Public to ensure that the person signing the document has been accurately identified. -Someone that has been authorized to notarize specific documents. -This is a type of mortgage bond that has face value that exceeds the underlying property. -A secretary, director, or manager of a business. -They do not carry any formal power but they have substantial moral authority over governments, governmental agencies, and companies. An Ombudsman investigates complaints and makes recommendations on their findings. -Is a mortgage that allows you to borrow additional money under the same agreement. -The right to use some form of property and to exclude others from using it. -The total amount of outstanding open positions in a given options or futures contract. -A book that will record the transactions in a savings account. -Is a mortgage provision that allows you to pledge collateral to be released under certain circumstances. -The maximum amount of a payment under an Adjustable Mortgage Loan. -Concessions allowances by the Inland Revenue that are used to reduce your taxable income. -For people that are over 18 that invest in shares of UK and other EU companies via an approved payment plan manager. -A person’s combined income, which includes transfer payments, salary, dividend, and interest income. -Loans for private individuals from financial institutions and banks. -Personal items of a deceased person passed to beneficiaries of the estate as stated in a will. -This is a formal application made to the court. -Is a building society account where transactions are made via the post. -This is a lender that is entitled to receive certain payments before other unsecured creditors. These creditors would typically include occupational pension schemes and employees. -Sales of government-owned equity in nationalised industries. It can also mean commercial enterprises to private investors. -A form supplied by the liquidator that is completed by a creditor in a compulsory liquidation. It states how much has been claimed. -Local tax that is assessed on a property owned, such as real estate or automobiles. -The Scottish equivalent to an IVA. 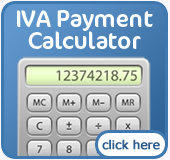 It is generally over a three-year period whereas an IVA is over a five-year period. A Trust Deed is a Government backed, legally binding agreement between a person who isn't able to pay their creditors and a licensed Insolvency Practitioner (the Trustee). This Trustee will put together a form of proposals to the Creditors for approval and will also administer the Trust Deed. Their role is to also take responsibility for liaising with the creditors and distributing funds on the debtors' behalf. A Protected Trust Deed is a form of informal bankruptcy and is regulated by The Bankruptcy (Scotland) Act 1985. -Is appointed to preserve the assets held by a company, pending the hearing of a winding-up petition. -This is when a person appoints someone to vote in his or her place. -If a creditor would like someone else to represent them at a creditor’s meeting then they can submit this form to have someone else attend on their behalf. -Cash or other assets that can be converted into cash fairly quickly. -An asset that is valuable because of it’s utility, such as a property. -Realising an asset means selling it or disposing of it to obtain money. For example: to sell an insolvent's assets to raise proceeds. -This is the commonly used name for an administrative receiver. It may also be a reference to a person appointed by the court with the ability to receive the profits and rents of a property. -This is a company in administrative receivership. -The process by which the Official Receiver or an IP is discharged from the liabilities of office as liquidator/trustee or administrator. -Where an existing mortgage is replaced with a new mortgage, which can often enable part or all of the equity in the property to be released. The new mortgage will then pay-off the existing mortgage and can also provide additional funds quite often used for debt consolidation or things like home improvements. A re-mortgage is also sometimes used to move to a lender that charges a lower interest rate than that of the original lender. -Mortgages where regular payments are made to partly repay interest on the capital to partly repay the capital itself. -This is a process that cancels the winding-up order. -This is when an IP or Official Receiver becomes discharged from the liabilities of office as trustee. -An investment trust term referring to analysis of someone’s investment income. -This is an arrangement where a homeowner borrows against the equity in their home and receives regular tax-free payments from a lender. -Mortgages where the unpaid balance is refinanced every couple years at then-current rates. -Wages received on a regular basis. Typically they are received weekly or monthly. -An account that you set up at a financial institution or bank that pays you interest on the balances held. -This is the process of taking out a second mortgage on a property that is already mortgaged. People get a second mortgage for a variety of reasons, for example, they may want to raise capital if the house increases greatly in value and the owner wants to involve finance companies rather than building societies or banks. -This is the Secretary of State for the Department of Trade & Industry. -A creditor who holds security (such as a mortgage) over a person's assets for the funds outstanding. -This is a loan backed up by assets that the borrower owns. The main asset used for larger secured loans is a property. By backing up the loan with a property, the lender will have decreased risk when lending you money so you can usually get better rates. -This is the process whereby all UK taxpayers are obliged to maintain their income records and all of their capital gains so that their annual tax returns can be properly completed. -Scottish equivalent of bankruptcy. Much like bankruptcy, a sequestration is advertised in local papers and The Edinburgh Gazette. -Someone that may not be formally appointed but still gives instructions on which the directors of a company will act. -Whereby an individual is the proprietor of a business, for example, a shop being run and owned by one person. -A fixed amount given to your building society or bank, taken from your account and given to a specific company. This is a fixed amount every time, unlike a direct debit, which can vary between payments. -A document completed by the officer or directors of a company stating the assets and debts they may have. -An Insolvency Practitioner that is appointed to oversee the carrying out of an IVA. -Tax that you receive back, under pension credit, child tax credit, working tax credit etc. -Allocated annually to employees under the PAYE system. These codes give the employer ability to deduct tax at the correct rate from wages or salary. -This is an accountant or Insolvency Practitioner who is responsible for managing a trust deed when a debtor agrees to sign over their assets when declared bankrupt. -Someone appointed by a bankruptcy court. The trustee will hold the property in trust for the creditors. -Under a trust deed, this is what the borrower is referred to as. -Is the United Nations Commission on International Trade Law. -A creditor who doesn't hold security, such as a mortgage, for money owed. -This is a loan whereby the lender has no entitlement to any of the borrower’s assets in the event of a borrower failing to make the correct payments. -The total worth of something as expressed in an amount of money. -This is the interest rate offered by the banks on deposits or loans, which are liable to change according to different circumstances. A change in the interest rate would be influenced by something like an interest rate change as set by the government. -A different form of liquidation that doesn’t involve the Official Receiver or courts. -This is an order by the court typically based on the creditor’s petition for the compulsory liquidation of a partnership or company. -This is a second mortgage with a face value of both the amount it secures and the balance due from the original mortgage.